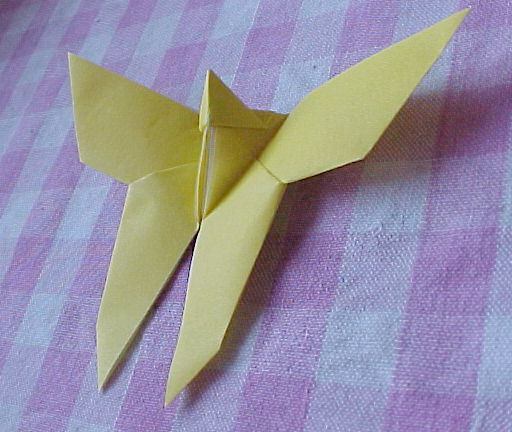 Butterfly, by Akira Yoshizawa, also a symbol of the International Origami Friendship Society, Tokyo. Made from 150mm Yellow paper. Diagrams on the OUSA (Origami - USA) website. See Links page.